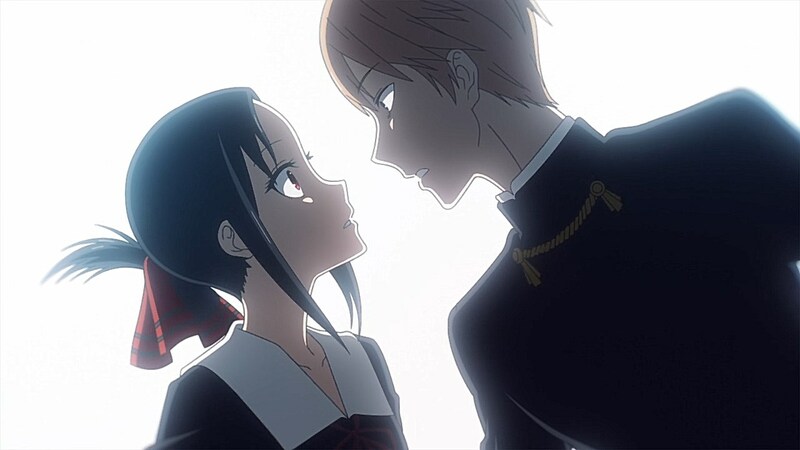 Kaguya-sama has been a fun anime for me to follow with how amusing the psychological jousting has been with Miyuki and Kaguya trying to fight their feelings for each other through a series of mind-games, traps, and compromising positions. 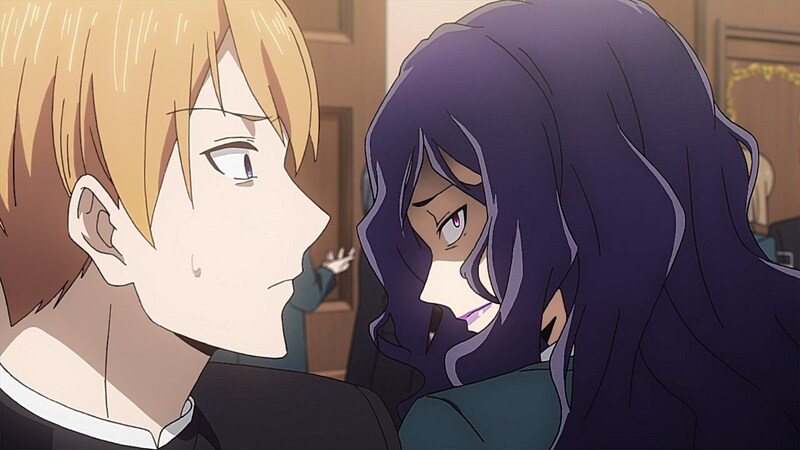 However, this episode helps to expand the series’ horizons as they prepare for a foreign exchange welcome party that introduces new characters and conflicts into the fold. 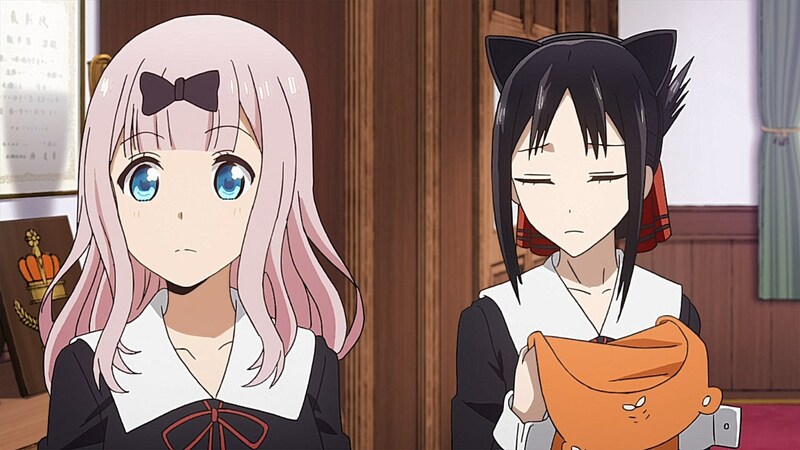 Starting with the last episode’s ED switch, Chika has become the break-out star of Kaguya-sama as the student council’s fun and shrewd secretary. 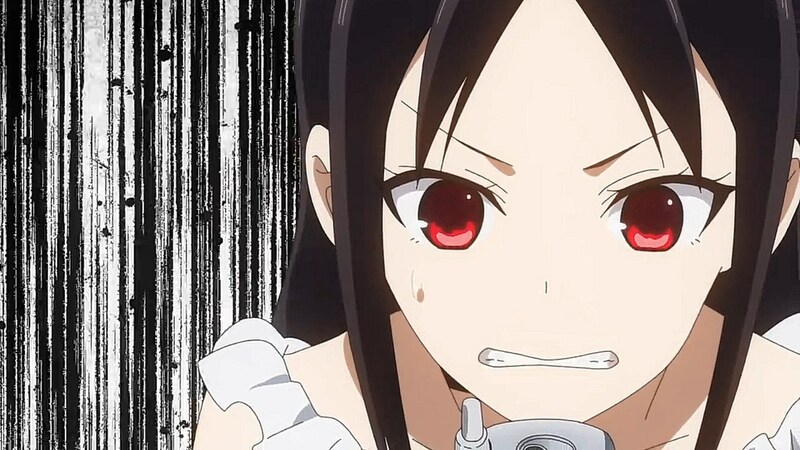 The timing of the ED couldn’t be more impeccable as Episode 04 has her dunking on Kaguya and Miyuki in a Banned Word game to determine who would grab some of the sweets and items for their upcoming welcome party for the French foreign exchange students. 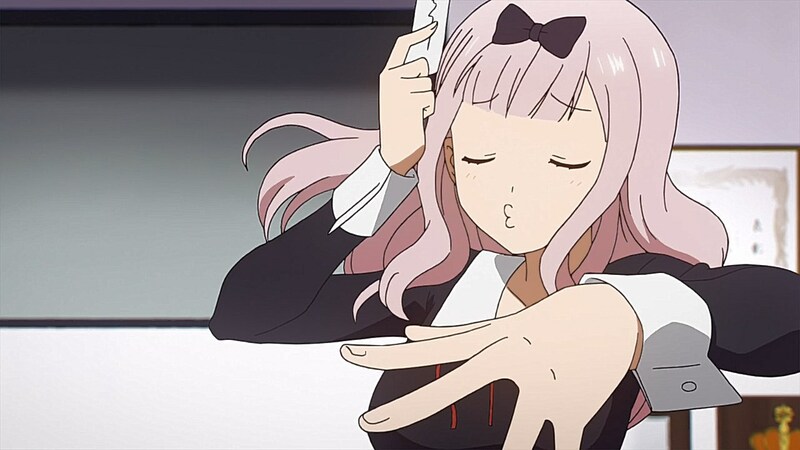 Chika can rap with the best as she uses her rapping skills to throw Miyuki off from chiming in with his strategy to get her to say her word “Check-It-Out”. 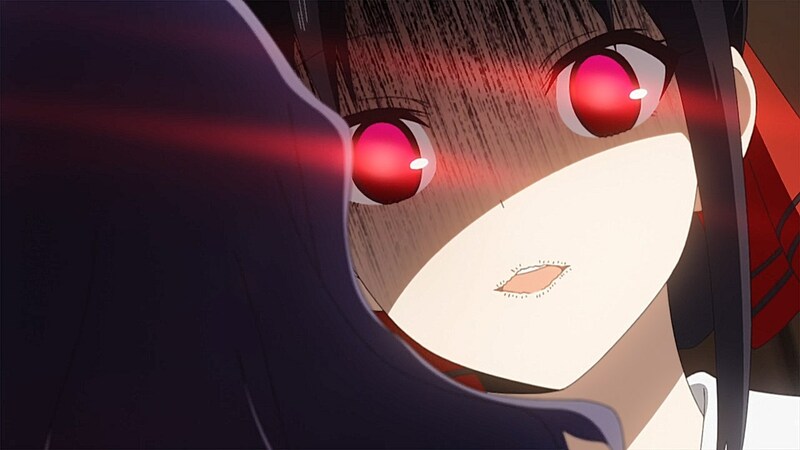 While Kaguya has been the most methodical in her plans to get under Miyuki’s skin, this section had Chika throw Kaguya off by tricking her into saying her card’s word “Love” when she buys into Chika’s bluff of being upset with feeling alienated or hated by those around her. 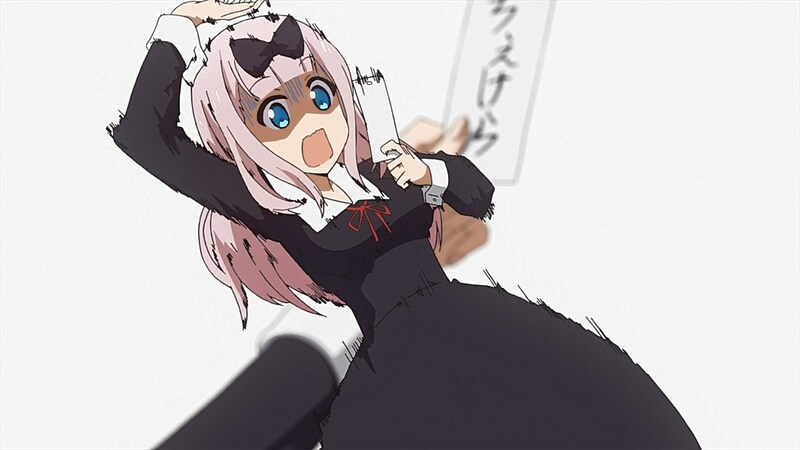 From there, it didn’t take much for Chika to come out on top as Miyuki falls right into saying his word accidentally once he gained the determination to bypass his original plan of shopping with Kaguya if it meant showing support for his student council secretary. 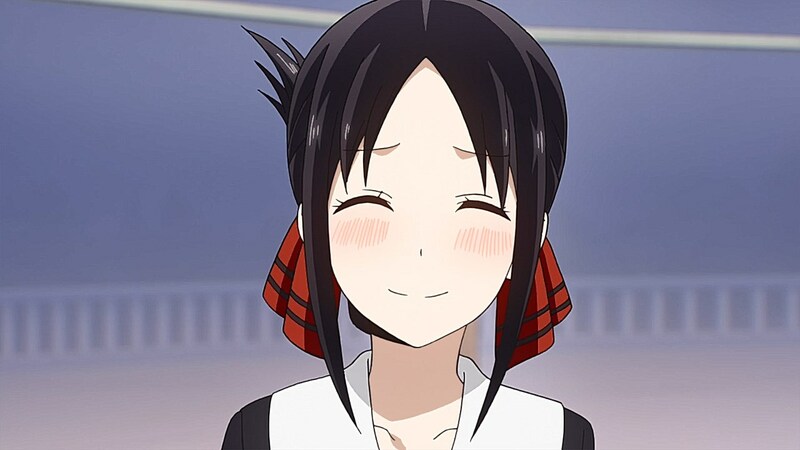 In the vein of the previous episodes, there was also a cute emotional tug-of-war at the beginning of the episode with their initial prep work heading towards the idea of introducing cosplay to the welcome party. 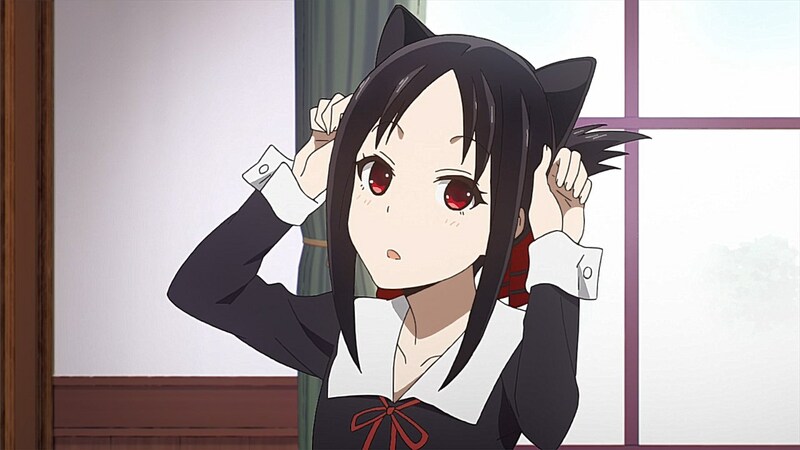 This idea was thrown out post-haste with how dangerous the power of cat ears had become for both Miyuki and Kaguya. 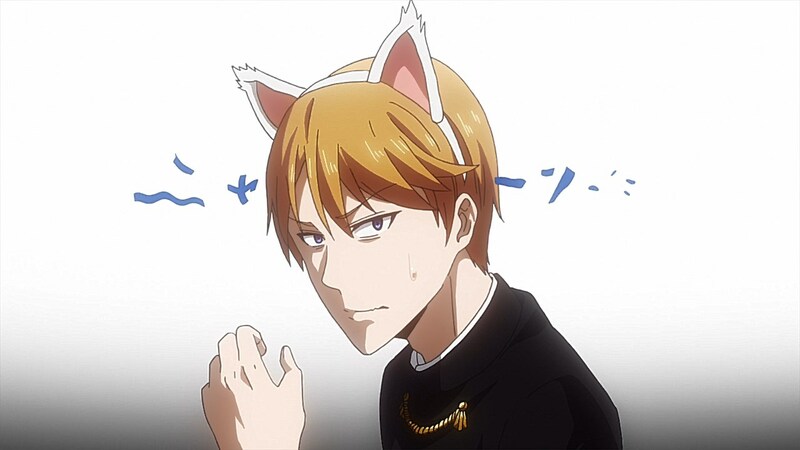 The set-up has Miyuki in a catatonic state because of how cute he finds Kaguya with cat ears on, but as he tries his hardest to avoid having her catch onto his feelings, she is enraptured by Miyuki’s rendition of the cat ear look. 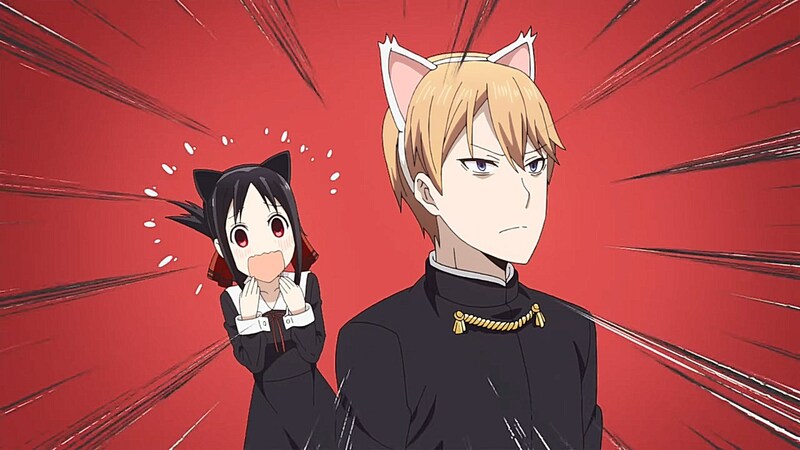 What’s clever about it is that rather than the dilemma being about who will confess first, it was about trying to make sure that no one notices how excited they are to see each other wearing cat ears. 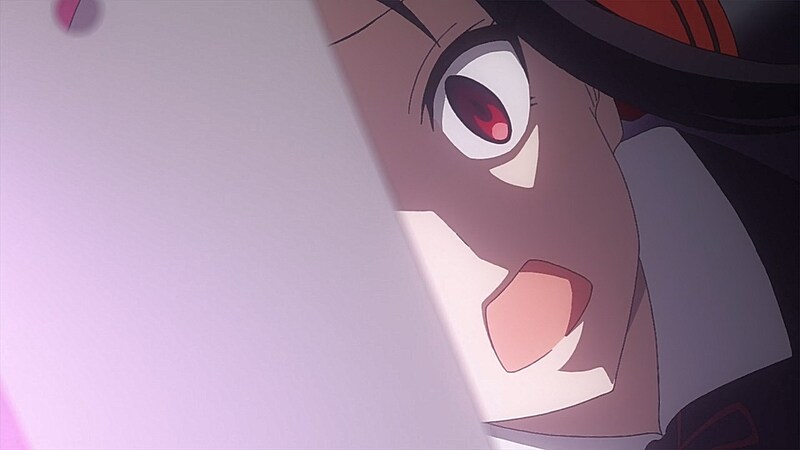 One pleasant deviation that this episode has is how much of it wasn’t focused on Kaguya or Miyuki trying to pry a confession out from one another. 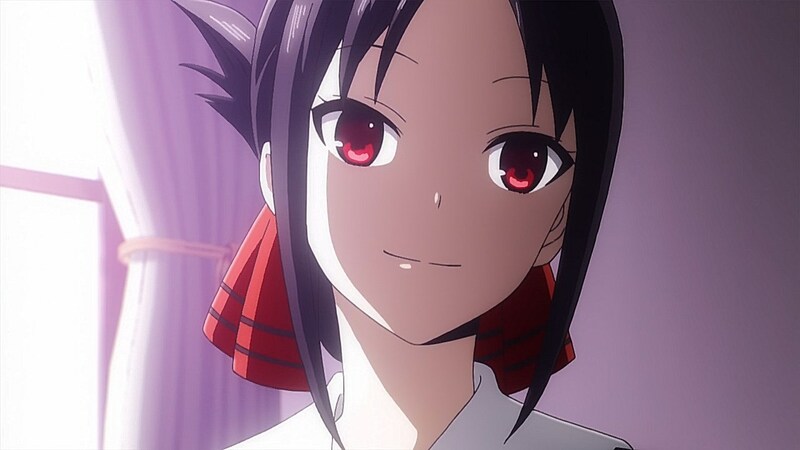 Instead, we have segments like one where we learn more about Kaguya’s servant Ai and how she is the one person who knows Kaguya from the inside out. 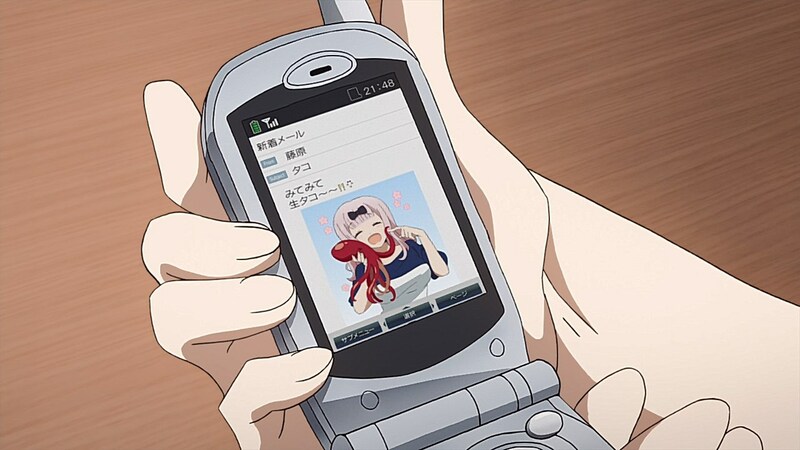 This means that Ai is also the boldest when it comes to her interactions with Kaguya as she humorously takes it upon herself to directly call Miyuki for her and encourages her to keep the conversation going especially with the knowledge that he is answering the phone from his bathtub. 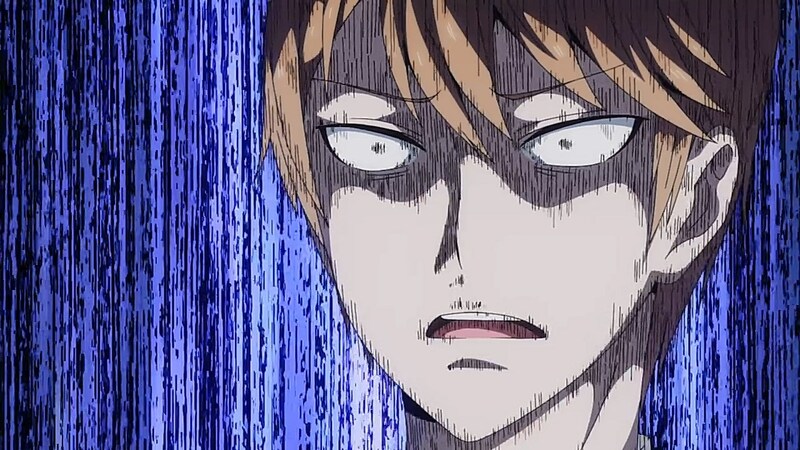 The funniest moment of the episode for me was the welcome party where Miyuki is tasked with pretending he knows French. 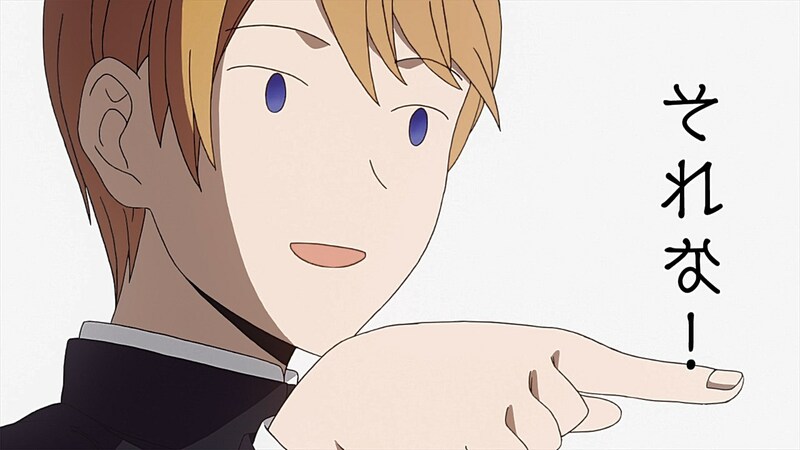 He’s horrified to learn that he’s the only attendant at the party that can’t speak French, something that is all the more apparent when he only blurts out generic French phrases to party guests. 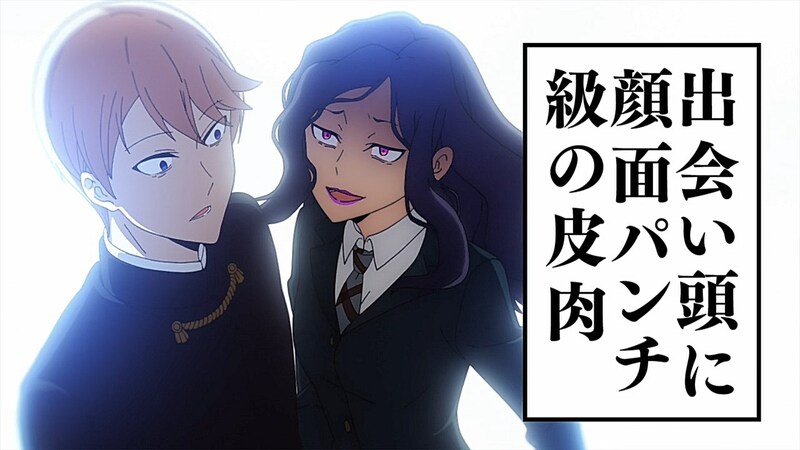 One of these guests is Betsy Beltoise, the VP of the French student council who the Headmaster personally tasks with giving Miyuki hell to see if he can truly be considered worthy of being the student council president. This ends up being incredibly hilarious because of the notoriety that Betsy has in destroying even the strongest people with her words. 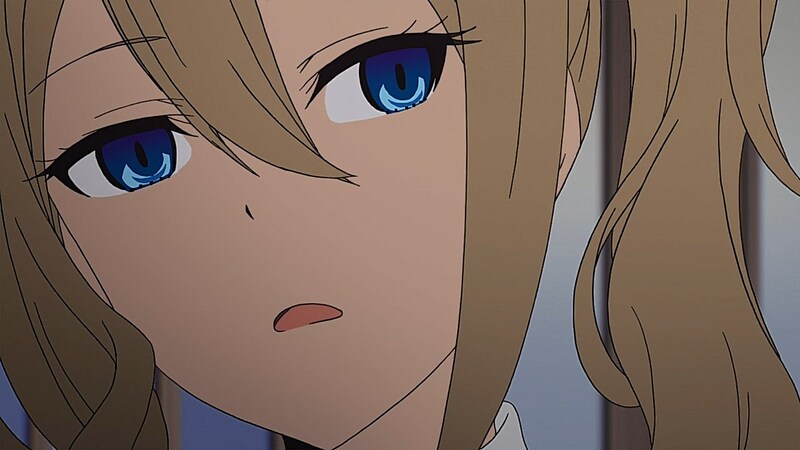 And yet, Miyuki’s obliviousness to the French language leads him to unintentionally devastating both the Headmaster and Betsy with an eager “That’s it!” There is some teasing for what’s to come with the lip-reading line that Kaguya ended up telling Miyuki, so it’ll be interesting to see where this may take the two. 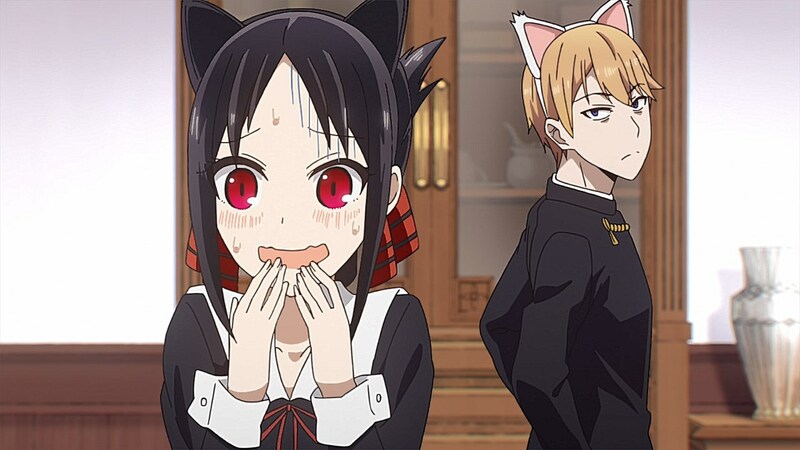 Episode 04′s biggest strength though was showing how much the anime can thrive with not just the mind games between Miyuki and Kaguya, but also with the interactions they have with their friends and peers as they continue keeping up appearances for them. 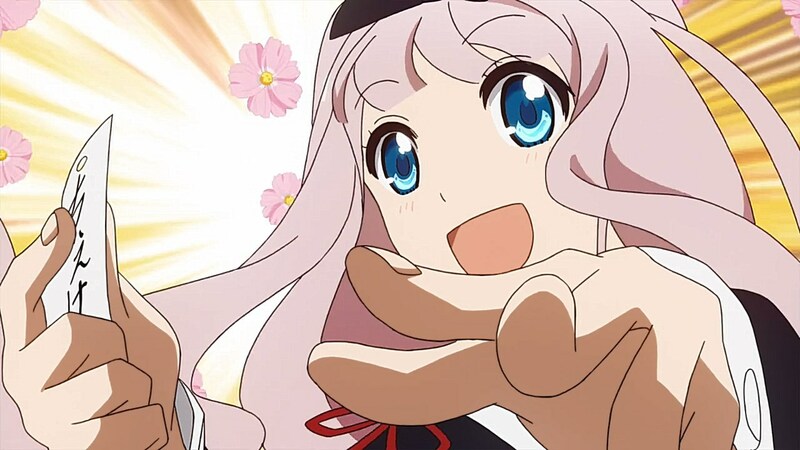 Wish we knew what sort of verbal French beatdown Kaguya gave to Betsy, lol. 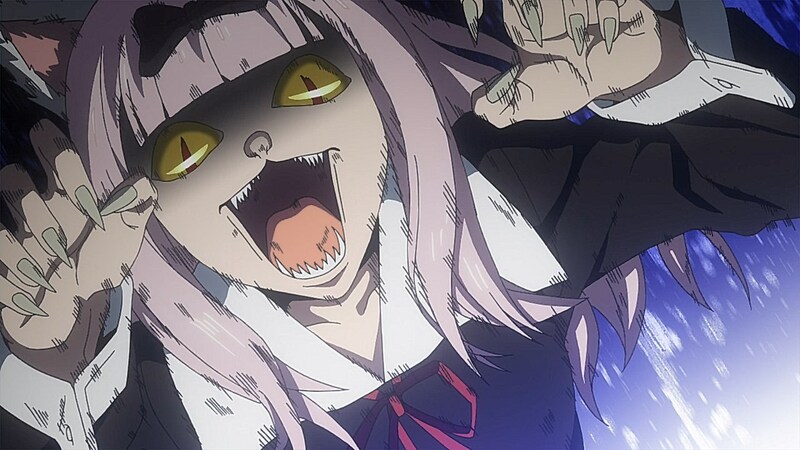 Chika and her rapping skizz. 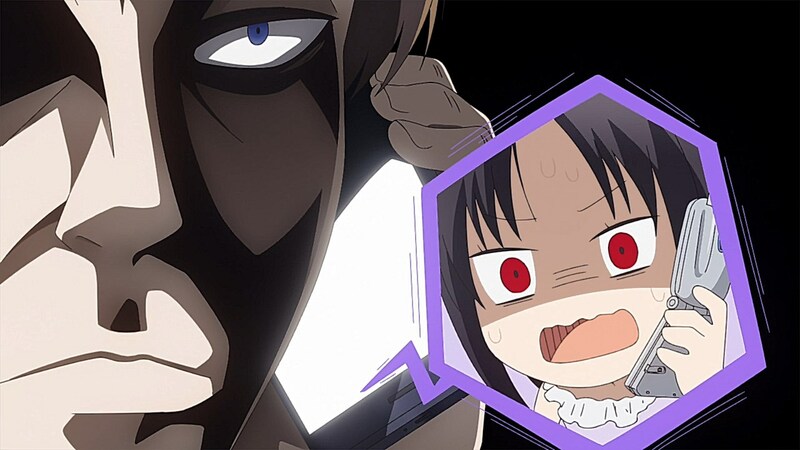 it wasn’t understandable in manga too due to being viewed from the eyes(and ears) of someone who doesn’t speak french. Don’t be deceived by Mistress Cuddlebuns. Her mother is a diplomat, that means she might be in a family of politicians. 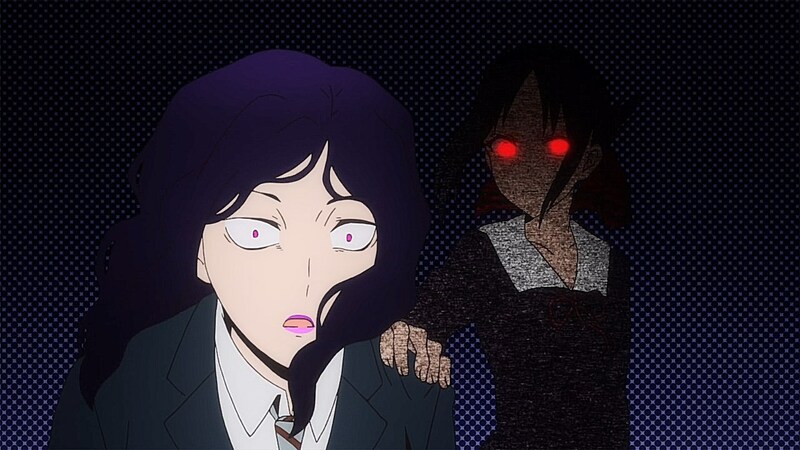 A very minor part I would change is that I preferred Kaguya’s scary eyes before the shiny/glaring red light emitting from it. Other than that, I loved about everything else. 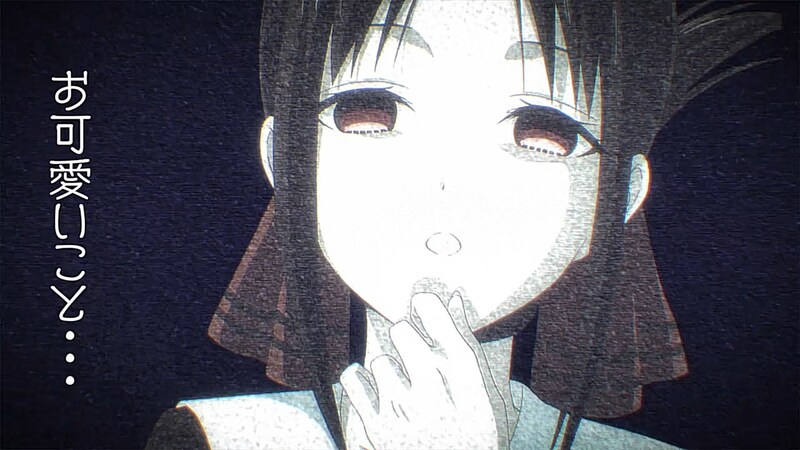 Anyway, I’m really glad I fully enjoyed this Kaguya episode. The first three I did too but I definitely kept comparing it to the source material and feeling a little uneasy like something wasn’t right, though it seemed rather well received so I thought it was just me being too picky. 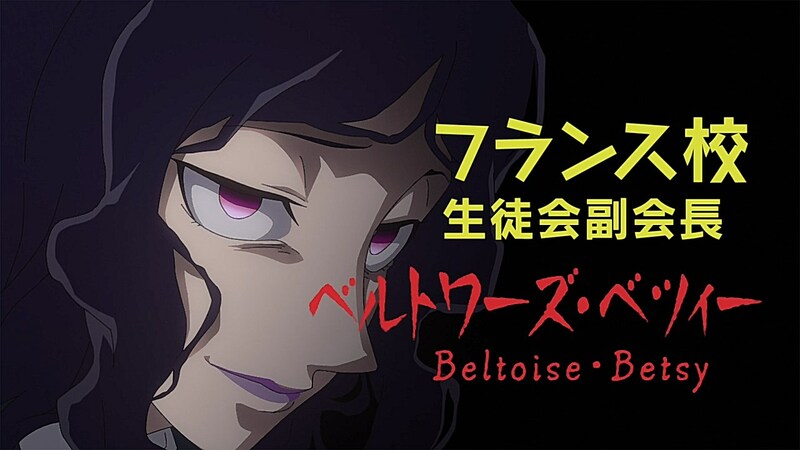 I had no such thoughts this episode and really enjoyed it thoroughly, so I’m truly happy for finally being able to enjoy the anime adaptation without thinking about the manga. 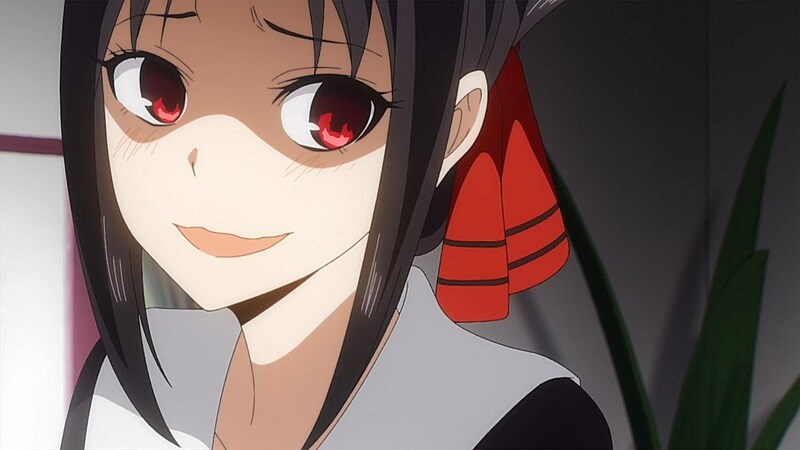 >One pleasant deviation that this episode has is how much of it wasn’t focused on Kaguya or Miyuki trying to pry a confession out from one another. The “cute!! !”s in the first segment was amazing. 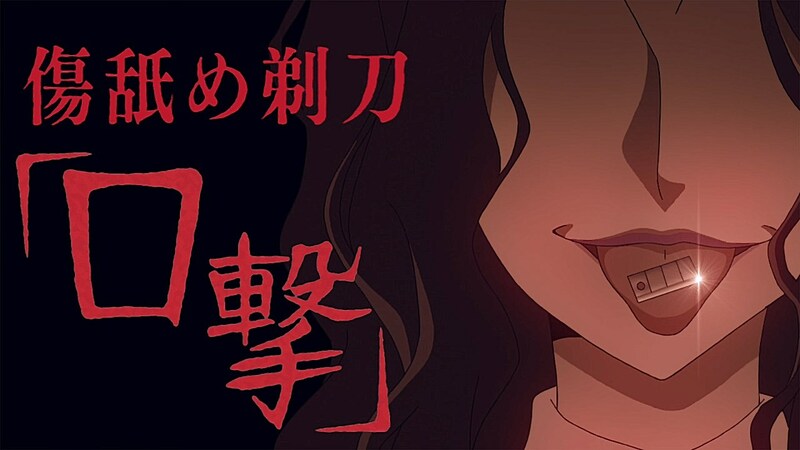 This is where I think the series shines. 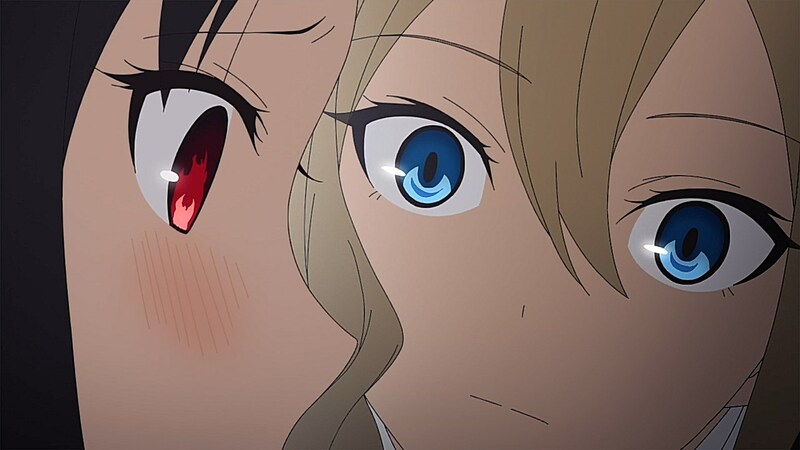 Sure the characters want to reach the endgame (confession and dating), and their methods to force such a thing is often hilarious – but what I appreciate is not just their games but how their characters are revealed little by little throughout the series as their relationship progresses. 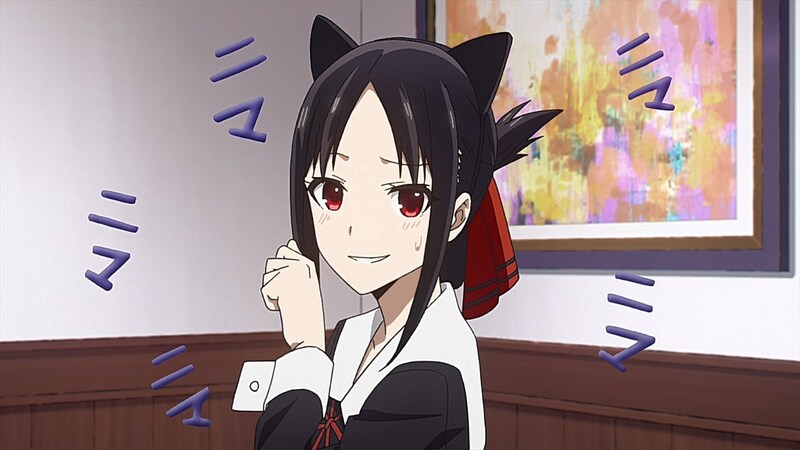 Additional line from the manga: Fujiwara, when mentioning her language proficiency, adds that Japanese is probably her weakest. Shows how well versed she is in languages rather than just a “oh cool, she knows other languages”. 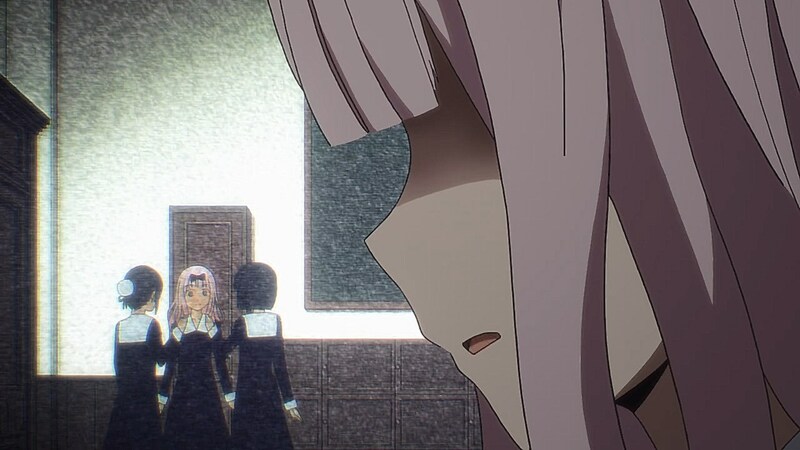 And so, we’re slowly getting closer to the parts when this show is finding its stride. 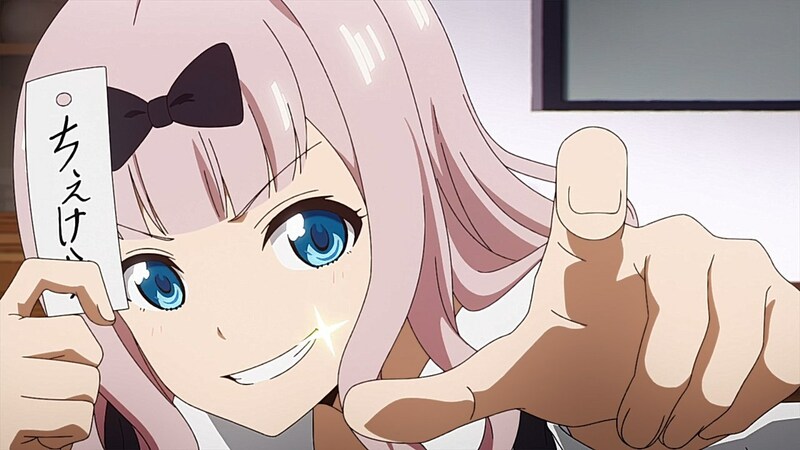 For a series about a battle of wits between Kaguya and Miyuki, the true Machiavellian tactician of the student council is none other than Chika. Figured it out, have you? 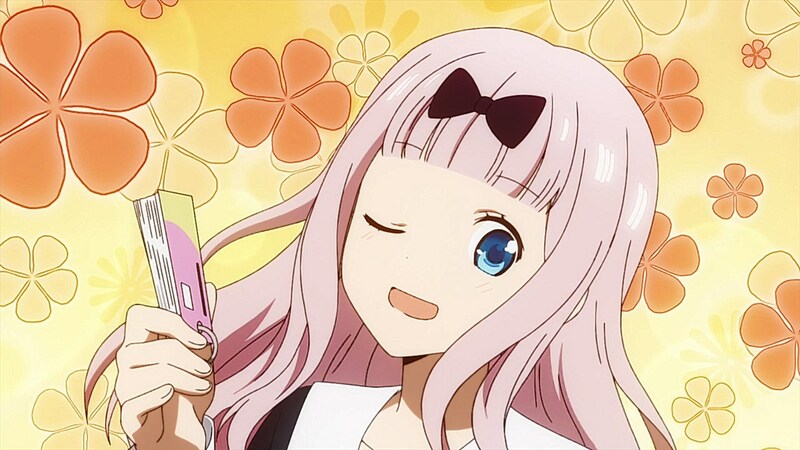 There’s a fan theory among manga readers that Chika is secretly controlling everything behind the scenes.